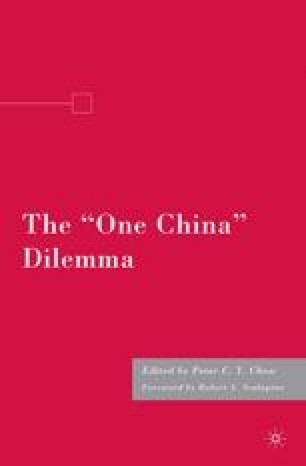 Many international lawyers have advanced various arguments as to why existing states do not recognize Taiwan1 as a state or, more specifically, why Taiwan is not a state.2 Several have pointed out that the so-called One China policy, the lack of claiming statehood by the Taiwanese government in the past, and lack of foreign recognition are probably the most critical factors that would negate Taiwan’s statehood. All these arguments, however, are more or less questionable in the light of contemporary developments in Taiwan. Ever since the late 1980s, there has been much strong evidence indicating that the Government of Taiwan has asserted, expressively or implicitly, a separate statehood for Taiwan as distinct from that of China. It is the premise of this chapter that the latest developments of Taiwan during past two decades must be taken seriously by all parties concerned in evaluating its current legal status.